North Korea no longer relies on a single foreign telecom company to carry its Internet traffic to and from the rest of the world. Ever since Star Joint Venture launched the country’s first fully-fledged Internet connection in 2010, North Korean traffic has flowed across the country’s northern border and through an interconnection with China Netcom. China Netcom is one of China’s largest Internet backbone providers. 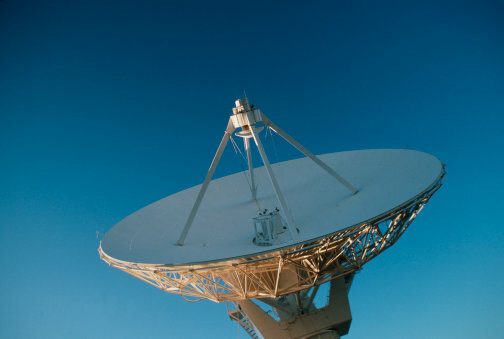 In the last few days the country’s sole Internet operator has begun using an interconnection with Intelsat, the Washington-based international satellite operator, to offer a second route to its network. Existence of the link was revealed through analysis and monitoring of BGP (border gateway protocol) messages. These are automated announcements that constantly flow between routers and switches that make up the global Internet backbone and help determine the constantly-changing web of thousands of connections that link service providers worldwide. Until April 4, North Korea’s Star JV network had only announced a link via China Netcom. So, when you typed “www.kcna.kp” into your browser, routers at your service provider determined the best way to reach Pyongyang knowing the last-but-one stop would be China Netcom. Now there’s a choice. A second route via Intelsat started appearing in BGP announcements from April 5 (around 6am local Pyongyang time). The new route provides some backup, should China Netcom have a problem, and means users in some countries might see faster connection times to hit North Korea’s handful of websites. NorthKoreaTech analysis of traffic to sites like KCNA from points around the globe shows the majority of connections still appear to run via China Netcom, but some are being made through Intelsat. Star JV, the service provider formed by the country’s telecom ministry and Thailand’s Loxley Pacific, remains tight-lipped about its plans. It’s unknown if this connection is a temporary one, perhaps for an anticipated surge in traffic around the April 15th anniversary of the 100 years since the birth of Kim Il Sung, or if it will continue.